A hitherto unknown story of Australian diggers who fought in the Irish War of Independence and Civil War has recently been uncovered. Sydney writer and filmmaker Kerry Casey discovered the hidden history while in Ireland earlier this year. “I had come to Glenosheen in County Limerick to trace my grand-father, Patrick Cornelious (Con) Casey. I began working on the story when my own father was dying, so it’s been a very personal project,” he said. Ireland had become the breadbasket of the Allied war effort in World War I. It was the most popular place for Australian soldiers to go on leave during the conflict. However, the seeds of political discontent in the country soon led to many diggers becoming involved in the independence movement. Of the 330,000 Australian forces who served in World War I, 893 were illegal absentees, many of whom Casey has discovered served in the IRA during the war years. Con Casey was a highly decorated soldier, having fought at Gallipoli and the Somme, and it was during his 1917 leave in Ireland that he became interested in Irish politics. 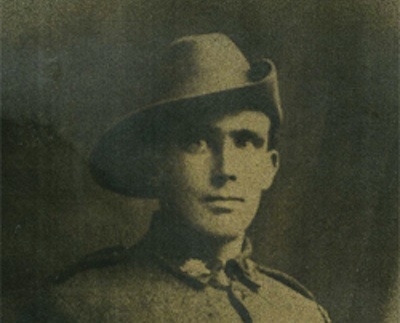 Supported by his father in Australia, Casey would buy a motorbike and become military advisor to Liam Lynch’s North Cork Brigade during the war. “Con took part in a number of successful raids during the war and was attacked more than once by British forces,” says Casey. Casey’s research has so far uncovered six other IRA diggers stationed around Ireland, and formed the basis of his thesis at the Australian Defence Force Academy. “At first military historians laughed at me and said this is not part of the official digger story, but now that I’m pulling out more characters and information, the facts are speaking for themselves. The story of Mike McGrath is perhaps the most illustrative of this hidden history. Born in Ireland, the young McGrath worked his way to Australia on the White Star Line of Titanic fame. He would later go on to join the Australian army and fight on the Western Front. While on leave in Ireland, he would join Dan Breen’s famous IRA flying column and take part in a number of raids and battles. McGrath fought with the anti-treaty side in the Civil War and was executed in the Curragh prison camp, despite being an Australian citizen. He would never get to return to Australia.